Final preparations are underway for a July 6 event at Chicago’s Soldier Field, bringing together top soccer talents from around the globe for a match that will raise money for the charity spearheaded by international superstar Lionel Messi. The match is set to begin at 6 p.m. CDT. “I am happy that this upcoming event is coming together, and am glad I can be a part of it”, said Messi in a recent statement. While a similar match scheduled for Los Angeles earlier in the week was canceled due to irreconcilable issues with the local promoter, the Chicago event is officially confirmed to continue as planned, and is being independently organized. In addition to the four-time Ballon d’Or winner as FIFA’s most valuable player, the event will feature Pablo Aimar, Carlos Bocanegra, Jose de Jesus Corona, Thierry Henry, Ezequiel Lavezzi, Florent Malouda, Ariel Ortega, Pablo Daniel Osvaldo, Julio Cesar Soares, Santiago Solari, Alex Song, Gerardo Torrado, and John Viafara. Russian national team manager Fabio Capello and Arthur Antunes Coimbra (better known as Zico), former manager of CSKA Moscow and the national teams from Iraq and Japan, will be the all-star coaches. The match will also feature a unique opportunity for five stars from the 2011 and 2012 Big Ten Champion Northwestern University men’s soccer team. Gerardo Alvarez, Gerardo Blades, Mark Eliason, Brandon Medina and David Roth will take the field with the international superstars at this Saturday’s game. Fans interested in tour packages, including staying at the same hotel as the players, can go to www.messichicago.com. The official site for the friendly includes special arrangements with the Hyatt properties in Chicago. Hyatt is an official sponsor for the July 6 event. Select players and coaches will also appear at a press conference, taking place at the Hyatt Regency in Chicago at 8 p.m. CDT on Friday, July 5. Messi and Friends vs. the World is a special international showcase in support of the Leo Messi Foundation and its ongoing initiative to help sick and at-risk Argentine children access opportunities to lead full, healthy lives. 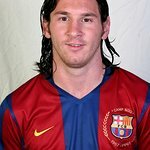 The charity was founded in 2007 by Lionel Messi, the highly decorated international soccer sensation. In 2010 UNICEF named Messi a goodwill ambassador, focused on supporting children’s rights.